The country paid 1.268bn dollars and received 1bn dollars in 2017. On 1 December, Ukraine transferred this year's last payment of 169m dollars to the International Monetary Fund. Overall, it has paid the fund 1.268bn dollars this year, the press service of the National Bank of Ukraine (NBU) has told Ukrainian News. In line with the schedule of debt repayment, on 1 December, Ukraine paid 114.3m special drawing rights (SDR) equivalent of 169m dollars. In total, Ukraine paid 858.7million SDRs, or about 1.3 billion dollars, in 2017. 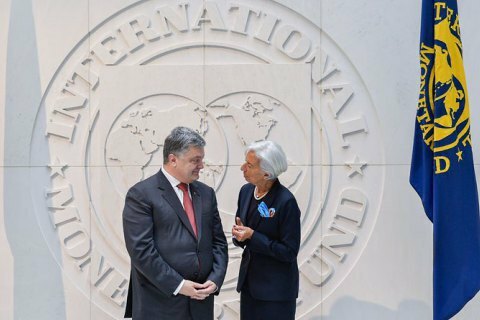 Thus year Ukraine received one tranche of 1bn dollars from the IMF. The current Extended Fund Facility programme took off in March 2015 and will last until March 2019.